With more than twenty years experience, casting thousands of artworks for hundreds of artists you can trust your work is in safe hands. right down to a finger print. All metal casting takes place at our foundry in Llanrhaeadr. 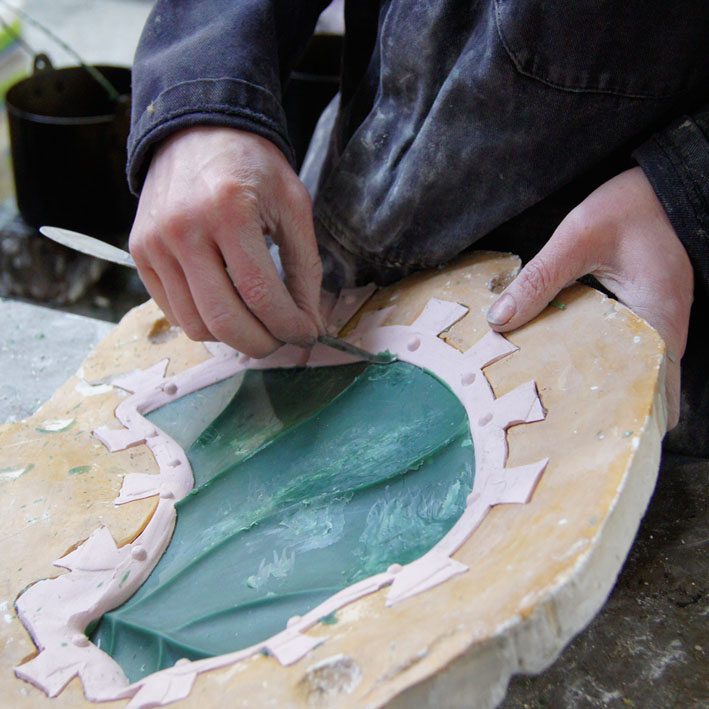 Our studios in Stroud and Liverpool provide mould, wax and finishing facilities, making it easier for checking your work at a location most convenient for you. Waxes and castings are safely transported between the studios every week. Concentrating our casting at one site has enable us to develop our skills and scale of operation, developing a ceramic shell process which allows the casting of monumental works in lost wax. Plaques, relief panels and simple forms can be sand cast. We cast in silicon bronze and aluminium, as well as working with other foundries to cast other metals, such as iron and stainless steel into ceramic shells created by us. You are welcome to view our studios first hand. Please contact us to arrange your foundry visit.